What Exactly is Alcohol Monitoring Technology and the Different Types? In the criminal justice system, a good number of offenders suffer from alcohol abuse or alcohol addiction. That’s why there are various types of alcohol monitoring technology that can be court-ordered or mandated by the state, specific to Ignition Interlock laws in each state. However, some technologies are also an option to ensure one’s safety. For example, parents could order an Ignition Interlock Device on a voluntary basis for their college-bound child’s vehicle. Through the years, justice authorities have determined that the use of reliable testing and technology assists those who suffer from alcohol abuse or addiction. There are a variety of alcohol monitoring technologies that are more suitable to the specific risk level of the client, such as high or low risk. Here are the different types of alcohol monitoring technology. Out of the types of alcohol monitoring technology, Ignition Interlocks are the only tools that can Separate Drinking From Driving®. That’s why Ignition Interlocks are mandatory in 30 states and D.C. for all DUI offenses, and the remaining 20 only require Ignition Interlocks for repeat or high-BAC offenses. But all-offender Ignition Interlock laws are working. In a recent study, states with mandatory Ignition Interlock laws saw a decrease in fatal drunk driving crashes. Other alcohol monitoring technologies such as continuous alcohol monitoring, have a different goal. Continuous alcohol monitoring aims to monitor the user’s alcohol consumption through the skin every 30 minutes, but these devices can’t physically Separate Drinking From Driving®. The transdermal ankle bracelet, when court-ordered, is usually paid by the offender or through the courts. EtG (urine-based) tests and PBTs fall under random alcohol monitoring. For example, someone who is court-ordered to undergo random testing could visit a clinic and provide a urine sample to measure their alcohol consumption. Random tests prove to be effective if tested at least three times a week to ensure someone has no alcohol in their system. Breathalyzers such as PBTs also fall under random alcohol monitoring. PBTs are used by law enforcement during roadside testing and sobriety checkpoints as well as in probation and specialty courts. 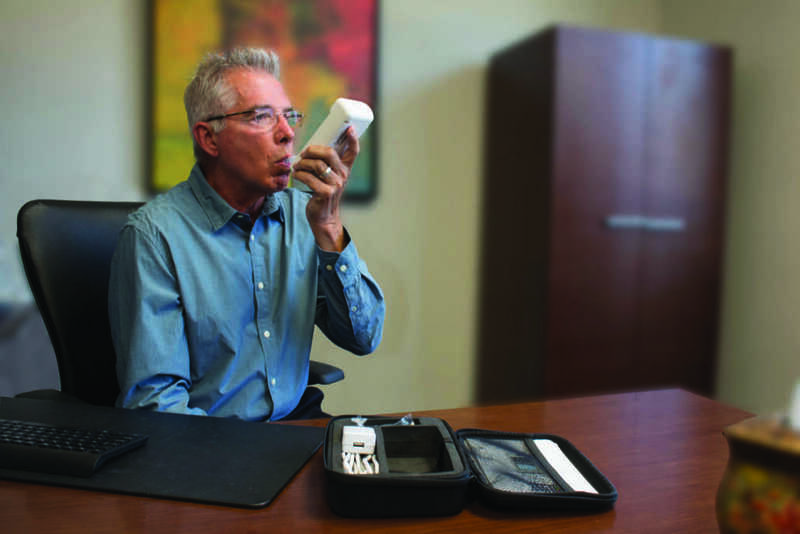 Portable alcohol monitoring, such as Smart Start’s SMART Mobile, is a remote device that can measure the user’s BrAC like the Ignition Interlock. The courts can order a portable alcohol monitoring device for an individual under pre-trial, probation, and/or parole supervision, as well as a participant in a specialty court. SMART Mobile is a cellular device with immediate violation notifications. Its custom test windows, either on schedule or random, are good to use for all risk levels. Alcohol monitoring technologies are an effective solution to assist those in the criminal justice system in holding them accountable with their supervision and treatment. These tools also prevent dangerous decisions such as drunk driving. Ignition Interlocks in particular physically stop someone from starting their vehicle drunk. With more support from the courts in using this technology, and states enacting stronger laws against drunk driving, the U.S. will see a safer environment overall. Need an Ignition Interlock or Portable Alcohol Monitoring Solution? Choose Smart Start, the ultimate worldwide provider of alcohol monitoring technology. If you need to install an Ignition Interlock, or you have questions about the court-ordered S.M.A.R.T. Mobile, call our Customer Care Center today at (800) 831-3299. For Ignition Interlock installations, you can also fill out our simple online form. https://www.smartstartinc.com/wp-content/uploads/2017/10/SMART-Mobile-CMYK.jpg 3648 5472 https://www.smartstartinc.com/wp-content/themes/smartstartinc/images/smartstartlogo-notagline.svg 2018-01-16 08:30:082019-04-23 13:40:14What Exactly is Alcohol Monitoring Technology and What Are the Different Types?